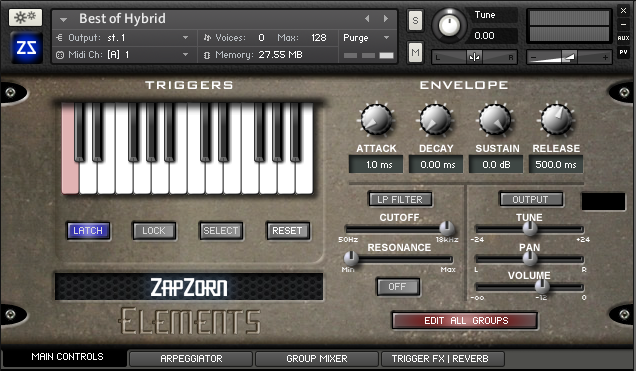 “ZapZorn Elements” by Zapzorn – It came from the universe… elements on Earth, crafted by men, into objects… now available on the free Kontakt Player! Over 100 tonal objects made from glass, metal, plastic, and wood sampled in over 400 performances give this 1.9 Gb library nearly endless creative possibilities! 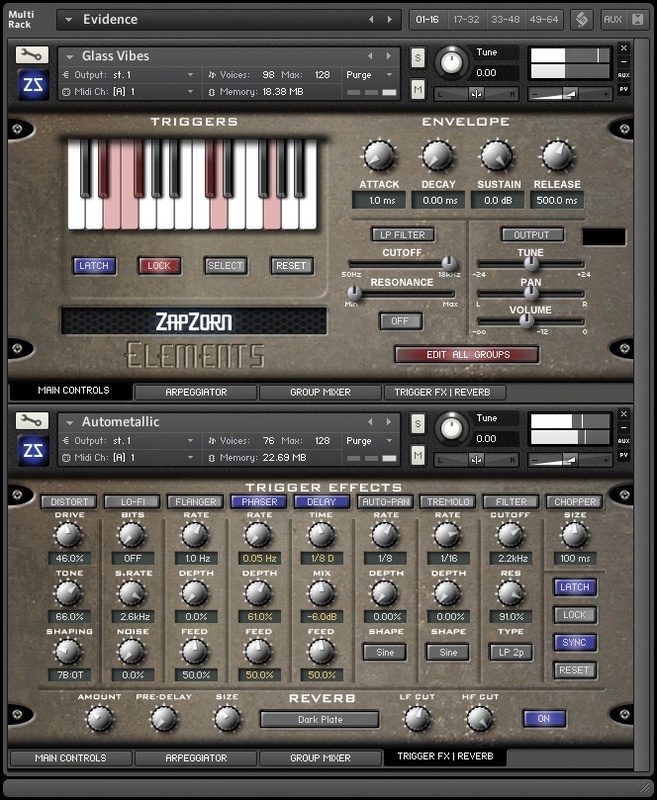 “Zapzorn Elements” is a revolutionary multi-layered sound design tool powered by Kontakt. At it’s core is a sound set derived from over 100 tonal objects made from glass, metal, plastic, and wood sampled in over 400 performances (like struck, plucked, hand hit, etc. 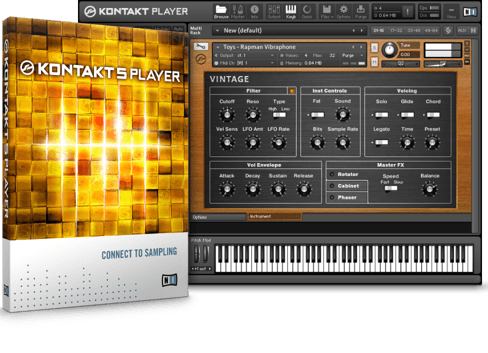 – non-looping hit based samples). Its perfect for percussive or melodic sounds, driving rhythms, ambient pads and more! Elements comes with 40 menus in 5 categories to build your sounds with. Each menu has 24 different sounds to mix and match to make your creations. The categories are Glass, Metal, Plastic, Wood and Hybrid (which has all of the previous 4 mixed together). 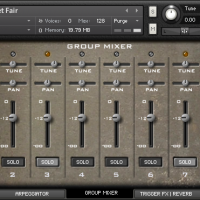 Each category has 8 different menu patches – Clean, Overtone, Percussive, 4 Generic and a Best of patch to give the user endless possibilities of combinations. The menus help make up the more than 160 patches that come ready to use. Also, Elements takes those patches and along custom patches to make over 30 multis. The ready to use sounds are tonal, playable and useful. 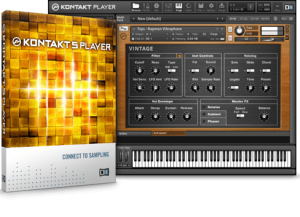 You can create music or sound effects, percussion or melody, driving rhythm and ambient pads. It’s all there. The Main Tab lays the tonal objects out in sets of 24 trigger groups which allows the user to take parts of 24 different sounds and mix them with other sounds to make new unique sounds. Each sound can have independent ADSR, HP and LP filtering, velocity and key ranges AND volume, pan and tuning to expand the versatility of the sound. 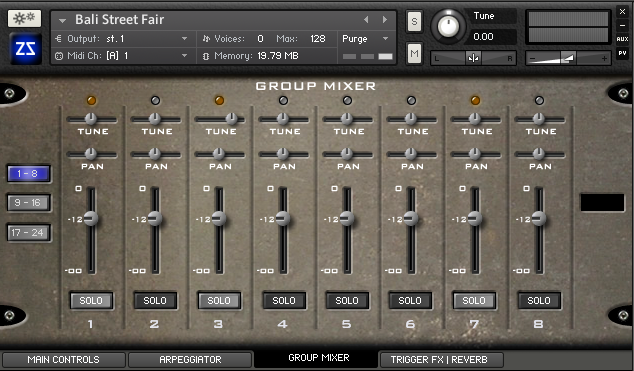 The groups can also be edited together with all of the above parameters by utilizing the ‘Edit All Groups‘ mode. 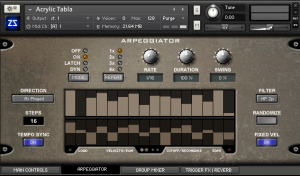 The Arpeggiator Tab allows you to take those new sounds and apply multiple direction arpeggiator combinations and adjust the velocity, pan, cutoff and resonance in up to 64 steps manually. If you feel the need for some inspiration, you can simply hit the “Randomize” button which will automatically pick a random value for Volume, Pan, Cut-off and Resonance for each step in the sequence, leading to some truly wild results! 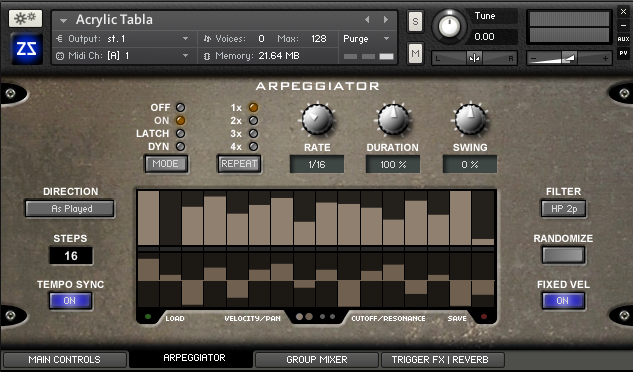 The arpeggiator also allows the user to adjust the repeat rate (1-4), rate (tempo synced or manual), duration and swing. 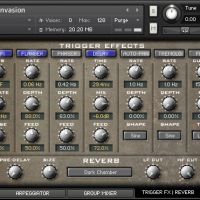 The filter pull-down expands the arpeggiator possibilities with 9 different filter types. You can also chose to fix the velocities by activating the ‘Fixed Vel‘ button. 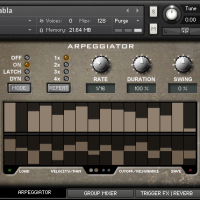 Custom configurations can be saved and recalled using the Arpeggiator library. 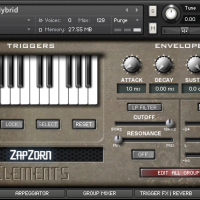 So What Exactly Can I Do With “Zapzorn Elements”? 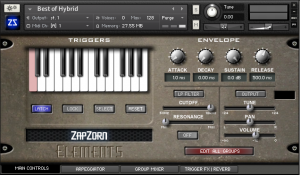 The seeming simplicity of “Zapzorn Elements” underlying sounds hides a truly powerhouse engine underneath, capable of producing sounds like no other library and that will provide endless hours of inspiration for your next music project. Underscore – light rhythmic underscore and tension music. Ambient – pulsing and hypnotic arpeggiated sequences and evolving pads. 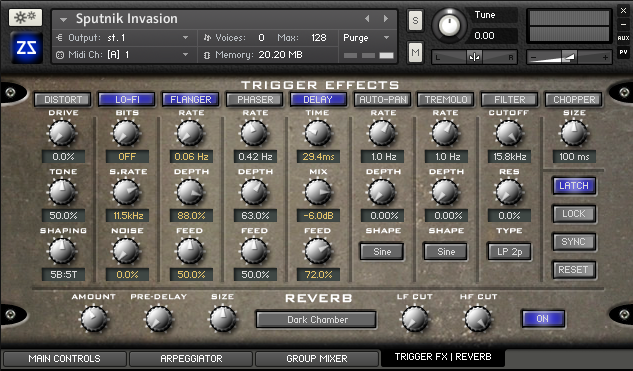 Sound Design – creative use of the arpeggiator and FX modules can lead to some truly unique and individual sounds. Electronic – edgy percussive sounds combined with aggressive effects treatments. Normally €120 – get it at 60% before its gone! 60% off the normal price (normally €120)! Over 100 real-world objects made from Glass. Metal. Plastic & Wood. Perfect for underscore, Ambient, Electronic music and much much more! "The patches inspire a wide variety of moods – the same sound that could fit on a toy commercial might also work on a world music track…. it’s always great to find an inexpensive tool for your sonic toolbox. " "Within minutes, I was lost in a world of chordal percussion that morphed into grunge-laden tonewheel organs, and icy chimes that emerged as massive foundry rejects. 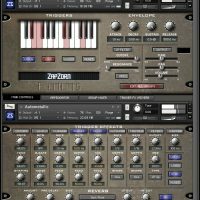 Elements is an extremely clever sound-design tool for creating your own unique tuned percussion sounds, but I wasn't expecting it to be such a powerhouse of creativity as well!"